Today we are going to talk about one of our family's favorite easy dinners. Something we have formally named "The Classy Joe". Little know fact: Manwich sloppy Joes are the cowardly lion's favorite meal! So from that humble idea of tweaking your leftovers into a new meal, came the birth of one of our best-loved family favorites, titled "The Classy Joe". Our family just loves sloppy joes. The classic Manwich version. What is the best part about a sloppy Joe you ask? Why the messy way it falls out of the bun (and all over you, if you are not careful). When my stepson was growing up as a teenager, we referred to them as "Sloppy Dereks", which was a great honor for him. 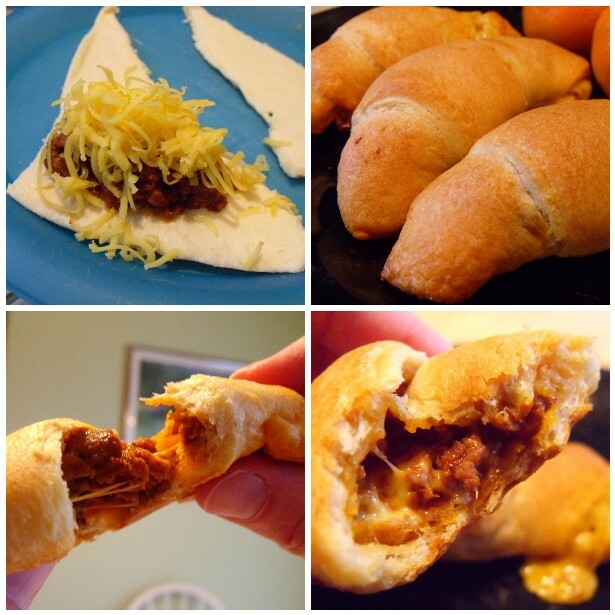 Well one day I figured out if you roll the left over sloppy Joe meat with some cheese in a crescent roll, all the messy goodness get's tucked inside and suddenly we needed a new name for our fancier, cleaner sandwiches. Quick! Invite the Queen of England over... let's eat all prim and proper with our pinkies out, because there is not a mess in sight! The next thing you will want to do is grate some of your favorite cheese. The best way is to use the smallest setting on your grater for a very fine (easy to melt) cheese. Next roll these babies up very carefully. Try to tuck in all of the filling as you roll the wedge into a crescent shape. Pinch the ends together so nothing can escape through the tips and place on a cookie sheet. Next bake at 375º for around 15 minutes. You want to make sure the outside of the crescents are nice and golden brown. After that serve them up to your family and wait for the Ooo's and Ahh's. 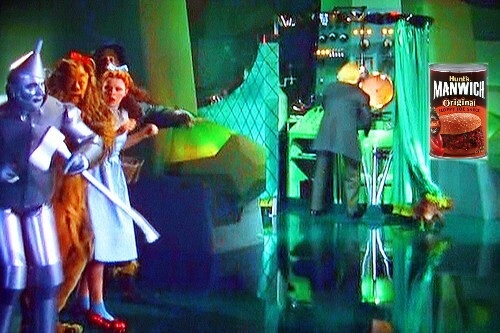 Please, great Oz... I mean mom, can I have some more? Another idea would be to make them half size and serve them as an appetizer at your next football gathering of kid's birthday party. They actually are kind of fun to heat up and eat for lunch the next day or a late night snack too. I hope you enjoy your "Classy Joes" as much as we do!